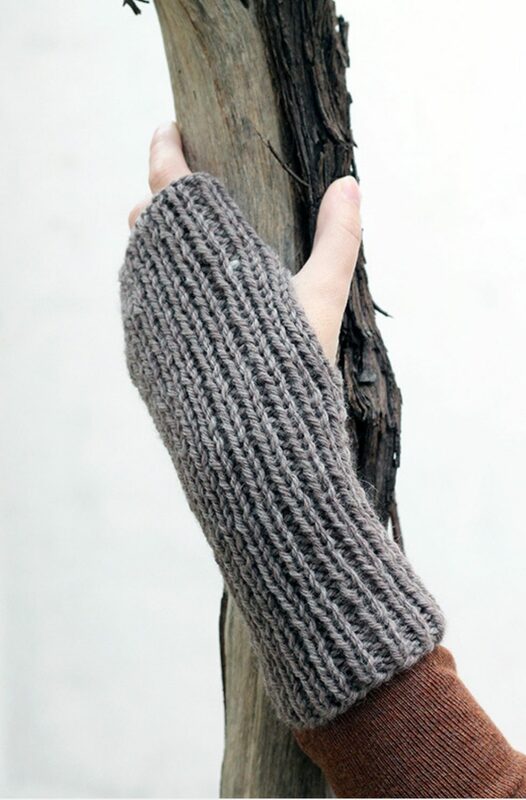 This fingerless gloves pattern will allow you to practice a 4-stitch cable and the finished mitts will look great made in any colour. This is the second pattern in my Outlander collection, you can see the first – the Fraser’s Ridge flat knit fingerless mittens here. 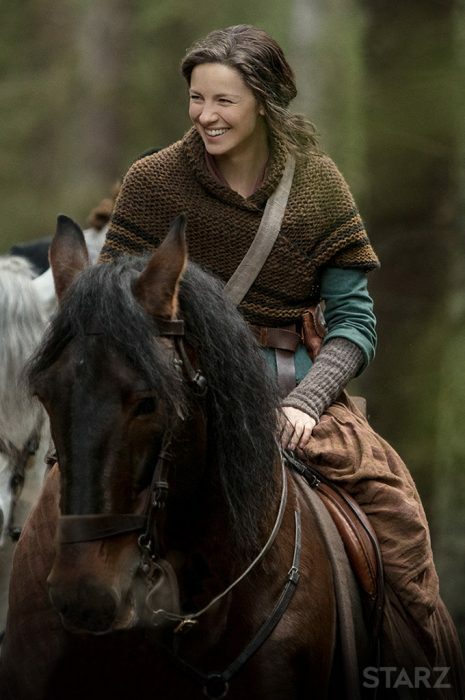 If you have been watching the Outlander TV series, recently in season four, you have probably noticed the beautiful knitted pieces that the main character Claire wears, including her grey fingerless mittens or wrist warmers. Claire is seen wearing a range of fingerless gloves, from cabled patterns to simple garter stitch knits. They are also in many neutral colours, from shades of grey to browns. 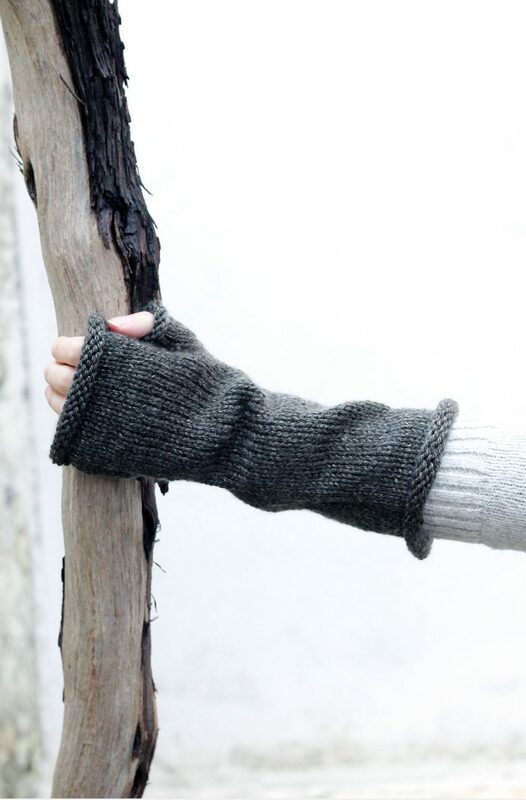 Inspired by Claire Fraser wearing beautiful knitted pieces, at her home in Fraser’s Ridge, the mittens are knit flat and seamed leaving space for your thumb. You can wear them either way, as wrist warmers or as mitts, which makes them very versatile for the cold weather. A basic knowledge of knitting is all that is required for you to get started and a basic 4-stitch cable, which if you haven’t done this before, is quite easy once you practice. 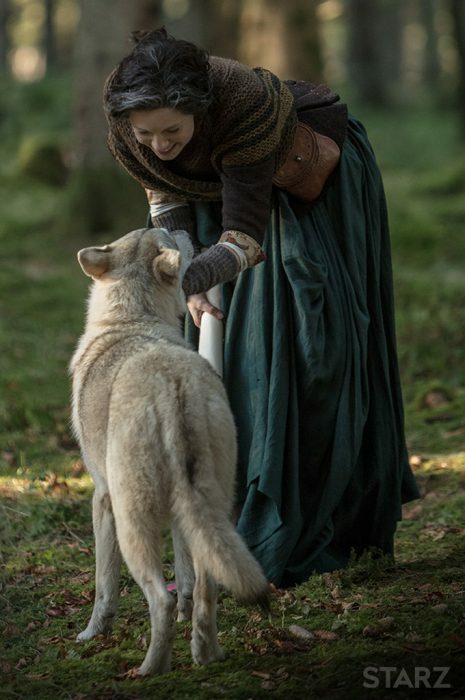 Claire Fraser’s costumes have motivated many knitters to make shawls, infinity scarves, and more throughout the four seasons that have aired so far. 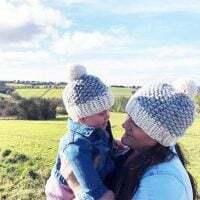 I wanted to make a collection of knits that are inspired by both Claire and her daughter Brianna, from mittens to scarves. 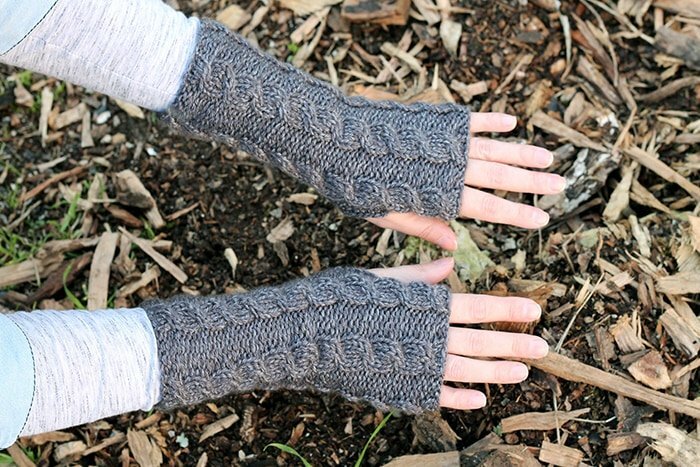 Fraser’s Ridge Fingerless Mittens – Get the free pattern here! The Brianna Cowl – Get the free pattern here! If you haven’t watched it already – you really should, not only for the story but for the costumes and knits. The story is really great, with a bit of everything thrown in there – romance, action, plot twists, period costumes and fantasy time travel. In season four (skip past this bit if you haven’t seen it yet!) you get to see more of Jamie and Claire’s daughter Brianna, who also has a wonderful range of costumes that include knitted pieces. The Outlander inspired Cabled Cabin Mittens are perfect for the colder weather, as they have been knit with medium weight yarn (04), in Himalaya Everyday New Tweed – Grey (75116). Using a 4 stitch cable, you will create an interesting design, knit flat on straight needles, then seamed to make the mitts, leaving a space for your thumb. This pair of mittens will be super cosy to wear while commuting, typing or like Claire – for finding herbs in the garden or collecting wood for the fire. 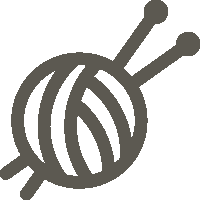 The mittens use basic knitting stitches – knit and purl, to create the design of the mittens. You will also need to have a cable needle to use when making the mittens for the 4-stitch cable pattern. Make this cabled pair of knitted fingerless mittens with the easy to print out pattern below, then come back and let me know what you think in the comments or leave a review! This cable knit fingerless mittens pattern will allow you to practice cables and the finished mitts will look great made in any colour. Rep the 6 rows above until the piece measures 10 inches from the CO edge. Cast off - in the stitch pattern from row 6. Stitch the side seam together for 6.5 inches. Leave a 1.5 inch gap for your thumb. Continue to stitch for a further 2 inches and close to secure. C4B - (K2 and 2), slip the next 2 sts onto a cable needle and hold at the back of the work, K2 from the left hand needle, then K2 from the cable needle. If you enjoyed making the cable mitts, I’d love to see yours on Instagram, be sure to tag me @handylittleme. 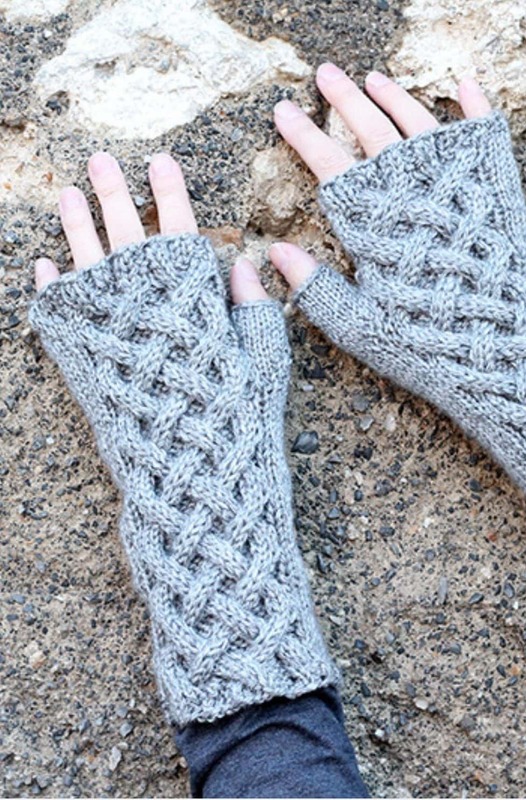 How do I get the pattern for the cabled fingerless gloves?